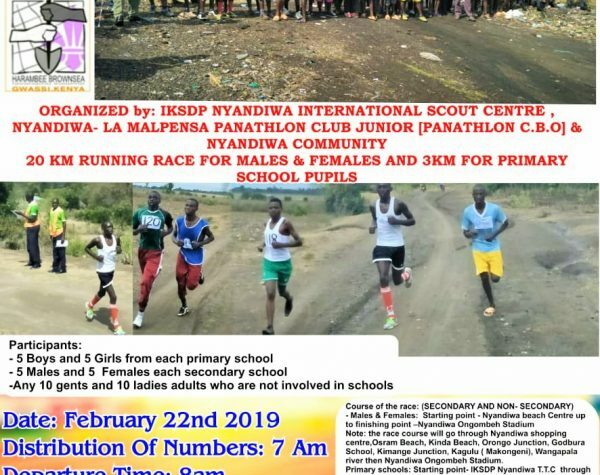 The fourth edition of the “IKSDP-Nyandiwa’s cross country race” organized by Panathlon Club Nyandiwa-La Malpensa Junior will take place on 22 February 2019 in collaboration with IKSDP and the local community. Divided into four categories – men, women, boys and girls – the competitors will follow two different routes of different length and difficulty. 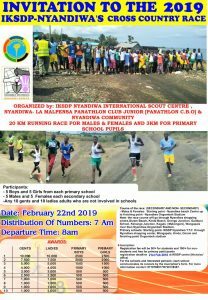 The event is sponsored by Verband Deutscher Altpfadfindergilden e.V. – VDAPG and Pfadfinder Gilde Liechtenstein.